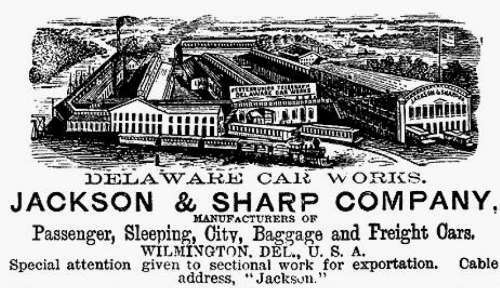 Advertisement of Jackson and Sharp, from Car Builder's Dictionary 1879. Jackson and Sharp made passenger car, 1867. A passenger car of Denver and Rio Grande, manufactured by Jackson and Sharp, 1871. A passenger car of Illinois Central Ry., manufactured by Jackson and Sharp, 1880. 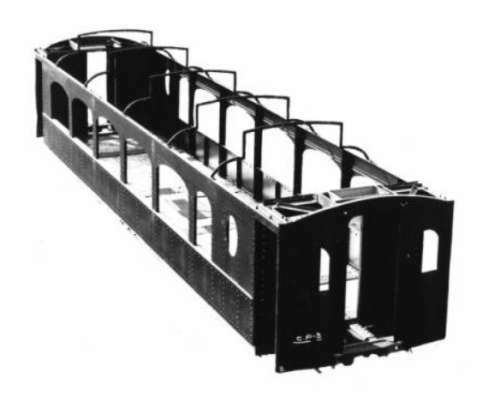 A passenger car of Long Island Ry., manufactured by Jackson and Sharp, 1890. A framing photo of Chilean State Railway, manufactured by Jackson and Sharpe company. No.832 coach of Denver and Rio Grande RR., manufactured by Jackson and Sharpe company in 1900. 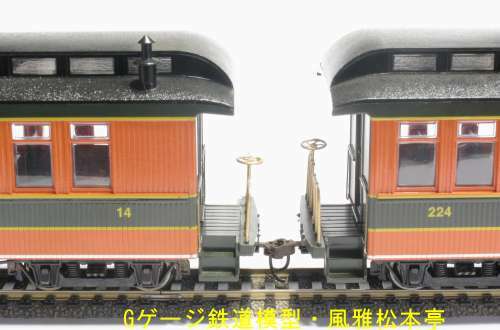 About Bachmann made On30 gauge Jackson Sharp passenger cars, baggage, coach, combine and observation. They have about 8in length. 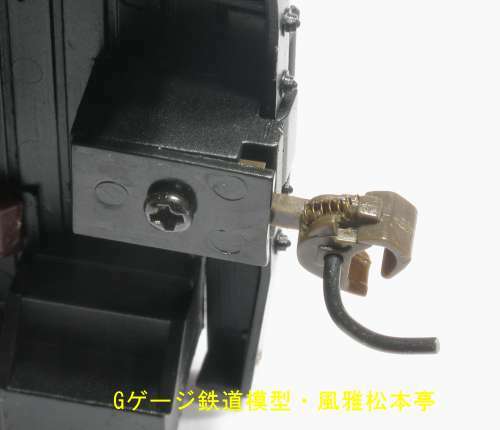 Bachmann made Jackson and Sharp combine. 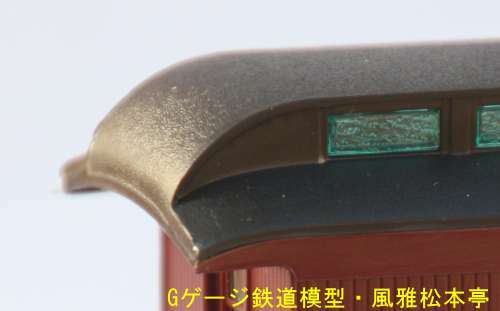 Bachmann made Jackson and Sharp coach. 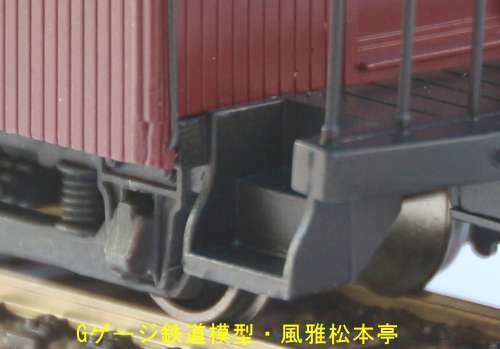 Bachmann made Jackson and Sharp baggege. 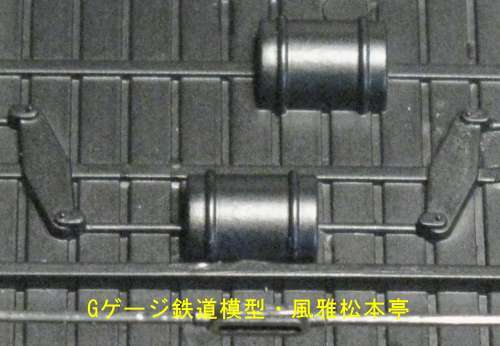 Ends of Bachmann made Jackson Sharp cars. Under floor of Bachmann made Jackson Sharp car. Under floor of Bachmann made Jackson Sharp car. Click for larger image. 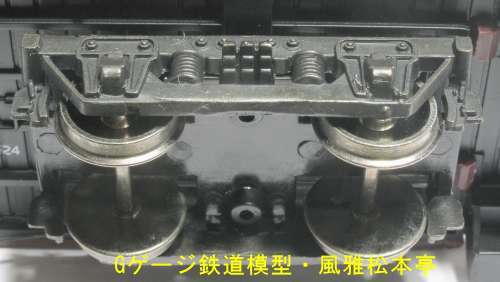 Bachamann made coupler for On30 Jackson Sharp passenger cars. 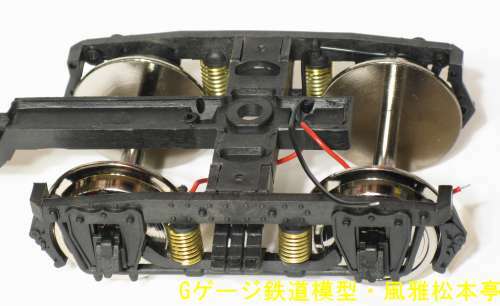 Bachmann made On30 coupler named EZ-MateII. 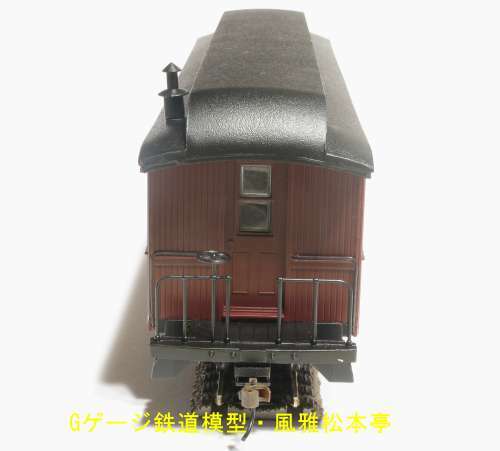 Bachmann made On30 Jackson Sharp combine, painted-unletterd, burgundy body with black roof. Bachmann made Jackson Sharp combine. 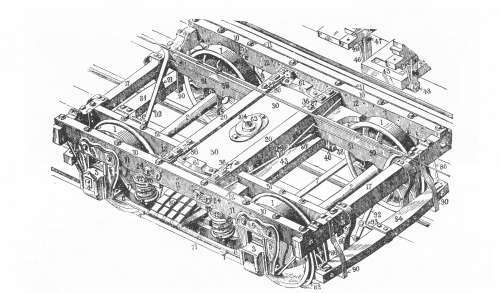 Jackson and Sharp 4-wheel truck for passenger car, 1877. Jackson and Sharp six-wheel truck for passenger car, 1900. 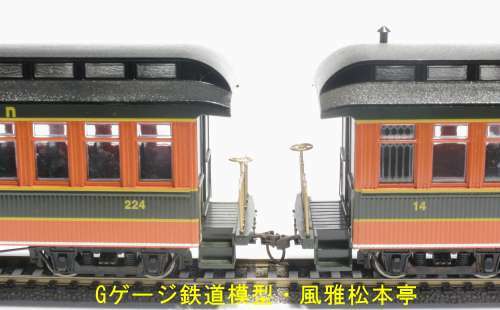 G-gauge Jackson and Sharp truck for passenger car, made by Aristo-Craft. 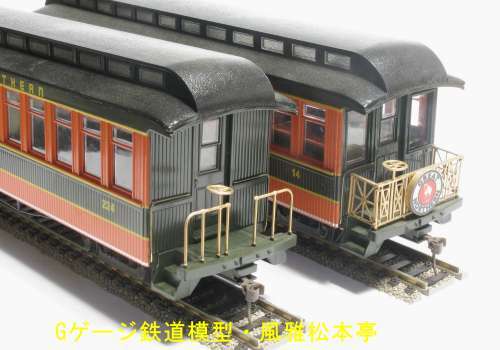 On30-gauge Jackson and Sharp truck for passenger car, made by Bachmann. 4 wheel bogie truckof Jackson and Sharp. Click for larger image.